On March 27, District 10 Supervisor Shamann Walton met with D10 API service providers at our 50 Raymond Ave. family center. 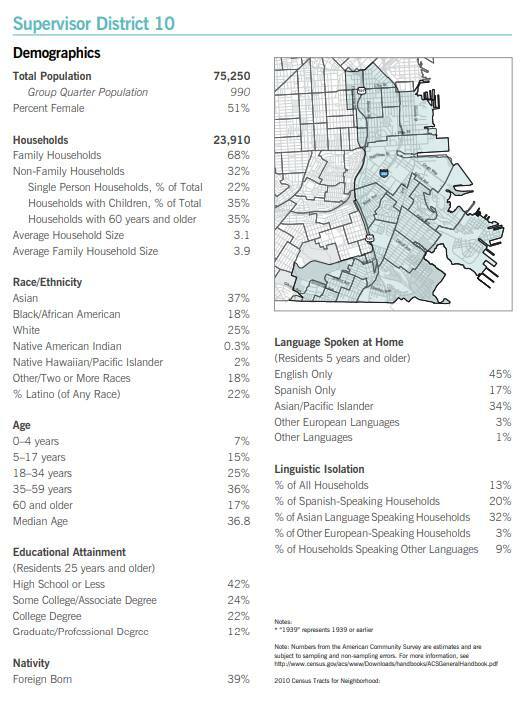 District 10 includes Bayview-Hunters Point and Visitacion Valley. The agenda was to identify service gaps and where we can work together for our communities. The demographic in D10 has been changing, with 37% Asian (2010 Census Tracts for Neighborhood), but targeted services are lacking. At this meeting convened by API Council were representatives from Asian Pacific American Community Center, Vietnamese Youth Development Center, Wu Yee Children's Services, Community Youth Center SF, Brightline Defense, Self Help for the Elderly, APA Family Support Services, API Council, and Ms. Marlene Tran (2014 District 10 supervisor candidate). Supervisor Walton is in the center of the second row in this group phot below.